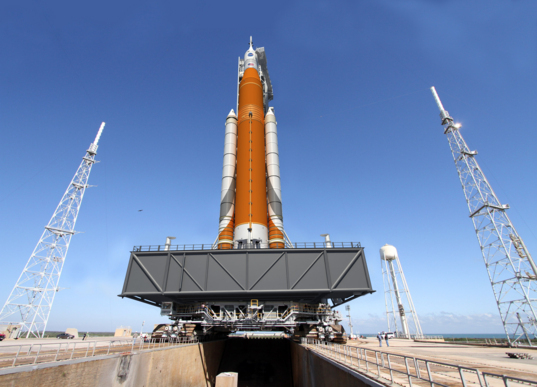 The orange color comes from insulation that covers the vehicle's liquid hydrogen and oxygen tanks. This is the same reason that the space shuttle's external fuel tank was orange. The first two shuttle flights, STS-1 and STS-2, in 1981, featured tanks painted white to protect the shuttle from ultraviolet light while sitting on the launch pad. But after engineers concluded the protection was unnecessary, the white paint was discarded, freeing up 600 pounds of weight in the process. The Constellation program—and thus, Ares—was axed. 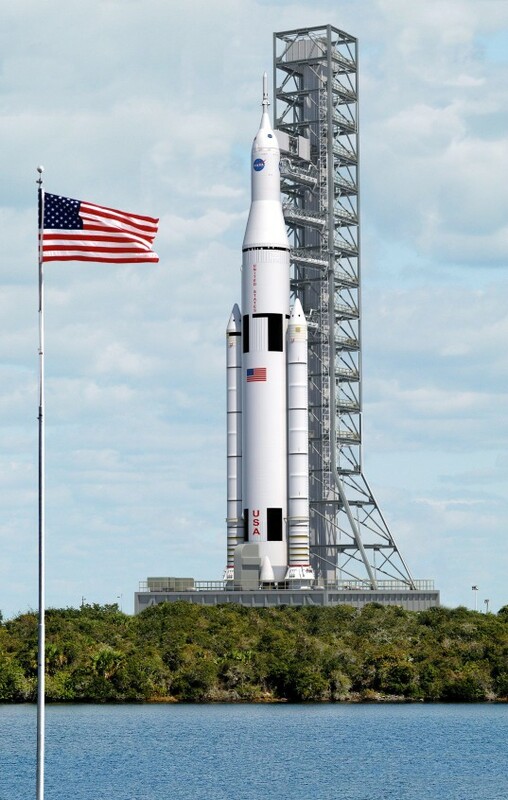 When NASA debuted SLS in 2011, the 8.4-meter-diameter core stage had a pearl-white paint job and Saturn V-style livery, invoking nostalgia for the time when mammoth rockets carried astronauts beyond low-Earth orbit. 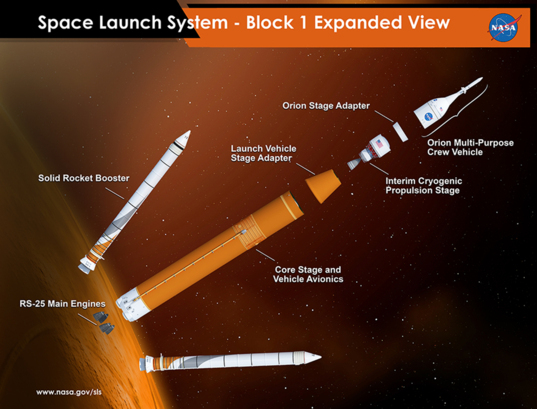 Many internal NASA documents, however, used SLS artist's concepts with orange core stages. 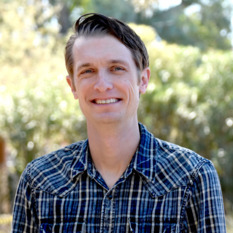 Over the past year, I've raised the paint job question with several NASA engineers and managers, and received conflicting answers. It became clear that the shiny white SLS renderings NASA was using might not match reality. 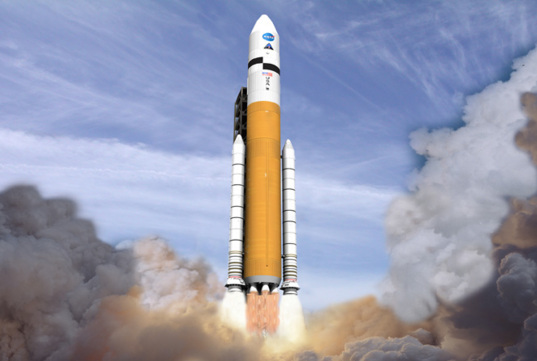 As if to placate anyone disappointed over the switch from white to brown, the new SLS renderings include orange and grey swirls on the aft ends of the solid rocket boosters. This immediately made me think of ATK's Liberty rocket, and the Ares I-X booster. 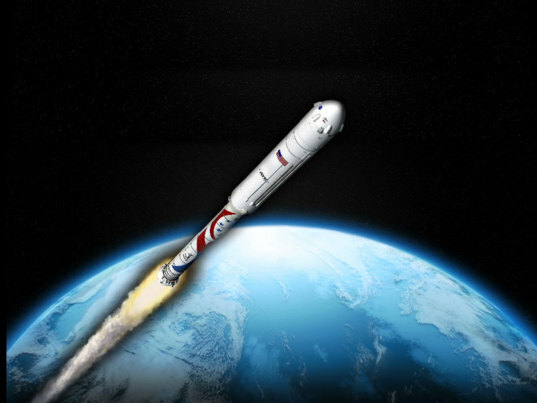 Orbital ATK manufactures the Space Launch System's five-segment solid rocket boosters. Now sporting its natural, orange color, SLS remains on track for a 2018 debut. Will the booster swirls make it to launch day? I love big orange rockets! I can't wait to see one launching a big spacecraft to Europa! That black stripe which doesn't add up in the second image, is not a good design idea, I think. Talking about paint. I'll try to be on site to watch the first launch live when it happens. After all the costs and delays and politics and compromises it will be comforting to finally see a human spaceflight capable launcher lift off. I am glad the SLS is going ahead on schedule. I hope the new president and congress will continue this program. Is there some assurance this will happen as the US deep space manned space program has been set back several times with new presidents in the last 20 years. I hope some provision can be made to use the SLS to land astronauts on some significant destinations like the Moon or Mars and establish bases before the late 2030s. I was under the impression that the 'black lines' were a visual aid to determine craft orientation when tracking, but it wouldn't be the first time I was wrong. @Mr. Fisk, I do think it was, in the 1940s. But there are nowaday better ways to measure the orientation of the rocket than using a ruler on a reel afterwards. What's the current estimate for SLS launch costs? Still about $14k/kg ($1B/launch) if you don't include capital costs and several times more if you include capital costs, right? Such a tremendous waste of money for something that is clearly not even close to financially viable in the long term. Tremendous waste? "Financially viable"? You do realize you are commenting on a space exploration website? Not a SpaceX website.